« To Saab or not to Saab? A couple of years ago I decided that I really wanted a Mustang Convertible, but then the World Cup started and I decided that an English V8 muscle car was more appropriate so I sold the M3 (which had developed an unhealthy appetite for oil) and bought a Jag XKR with it’s lovely 370 bhp supercharged V8. A few years down the road and here we are again….. that “need” for something fun, but which one? Well the V6 model has always been a bit of a joke, a rental car. Until 2010 it had 200bhp which could only just about make it move, especially when paired with a slushmatic gearbox, so definitely A V8? 300hp and a thirst? Maybe not a good idea with my 100 mile round trip. 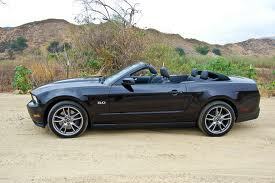 Oh, and the wife saw a black 2012 Mustang Convertible on the street and declared that she liked it, so maybe it will happen.